This is my TINS 2012 game. You're a space dragon that can travel through space. Your home planet was found by some space knights. The knights don't like your kind, so they're killing your species. 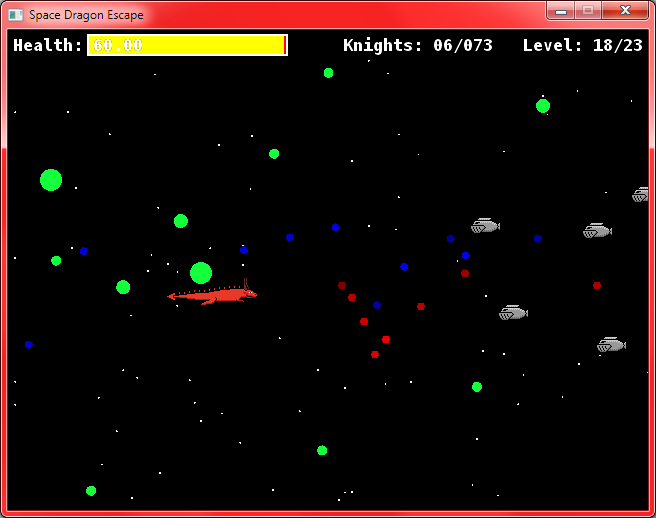 You must escape to a section of the universe that has no space knights to be able to live peacefully. Must have way to record progress / save games: Game auto saves when you complete a level so you can quit and start at the next level. You can replay old levels. 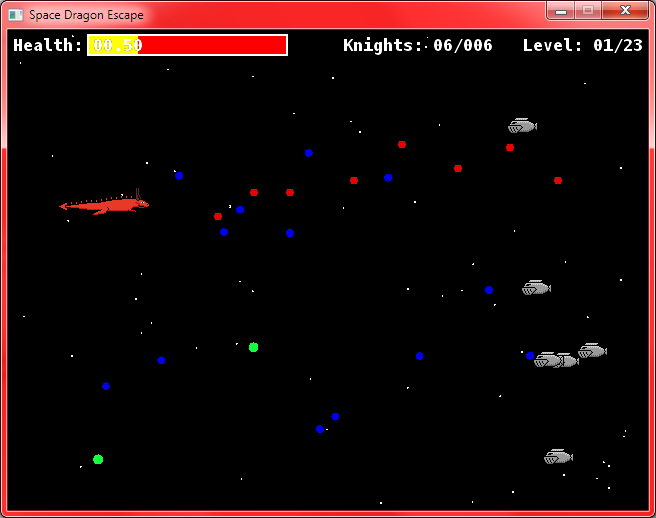 Multilayer scrolling (=parallax scrolling): Stars and planets in the background. Prominent use of prime numbers: Each level will have a prime number of enemies to defeat Your health at the start of the level will be a prime number.